OnePlus released Android 7.1.1 Nougat with the OxygenOS 4.1.0 shell for users of the OnePlus 3 and 3T smartphones earlier this month. It is expected that the update will soon reach the users of OnePlus 2. This is evidenced by the data obtained from the benchmark Geekbench. It was there that the smartphone OnePlus 2 was seen with the Android 7.1.1 Nougat firmware on board. Most likely, now the manufacturer is testing the firmware on the flagship in 2015 and will soon prepare the official OTA release for OnePlus 2. Currently, the latest update for OnePlus 2 is OyxgenOS 3.5.8 based on the Android 6.0 source code Marshmallow, which also includes a patch Security for Android this month. It is assumed that OnePlus will be more cautious in launching a stable update of Android Nougat for OnePlus 2. The reason for this is that the company’s first attempt to upgrade OnePlus 3 / 3T to Android 7.0 with OxygenOS 4.0.1 was recognized as a failure. The firmware contained a lot of bugs and bugs, which is why OnePlus had to release another update in a short time. In mid-January, OnePlus released an update to OxygenOS 4.0.2 to fix issues such as unstable Wi-Fi and download errors on the Google Play Store. The patch of OxygenOS 4.0.3, which users received in February, improved the connection to Wi-Fi networks, camera operation and much more. In total, the company took almost 3 months to release a stable version of Android Nougat for users of OnePlus 3 and 3T. It seems that it was because of this that the update of Android 7.0 for OnePlus 2 was postponed. Firmware Android 7.1.1 Nougat with Oxygen OS can be available to users of OnePlus 2 in April or May. One of the key new chips of this ROM will be the personal assistant Google Assistant. 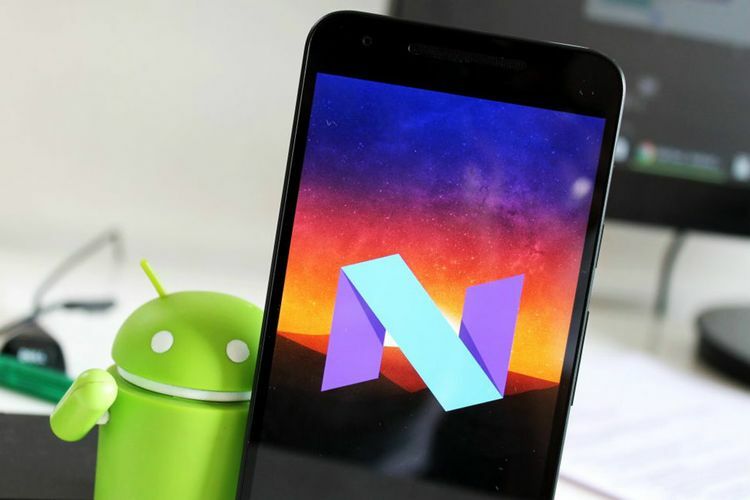 Older models OnePlus X and OnePlus One will not be able to upgrade to Nougat since their Qualcomm Snapdragon 801 processors do not support the Android 7.0 Nougat graphics driver.